A group of Alameda residents met in June to discuss forming a PAC to combat union and developer influence in city politics. But a sexist comment is drawing criticism. 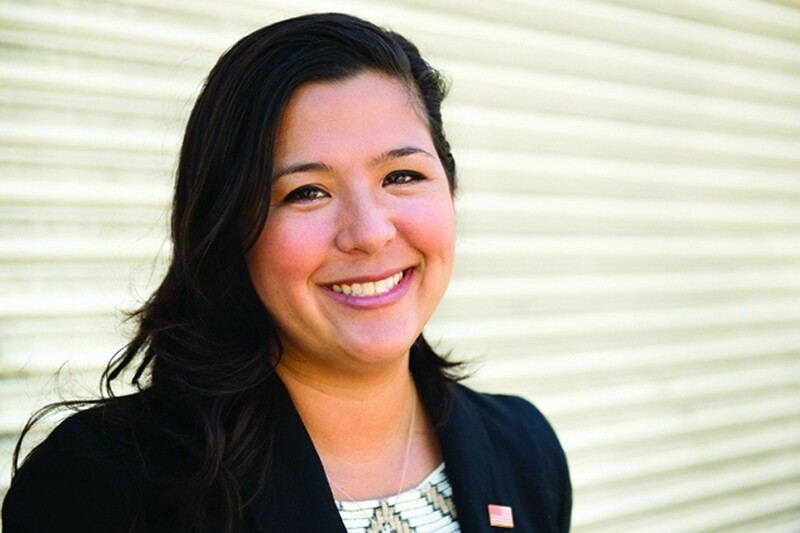 Alameda City Councilmember Malia Vella. The field of those seeking to influence Alameda's city council elections this November is expanding. In June, a group of residents called the Alameda Citizens Task Force (ACT) held a meeting to explore forming a political action committee in order to counter the influence of public employee unions and developers in city government. But a sexist statement made by one of the attendees directed at Councilmember Malia Vella is drawing criticism. Also notable is the group's lack of diversity. On June 20, about 60 people packed the RE/MAX offices in Alameda to discuss the PAC and its mission to "elect a new council majority." According to its draft mission statement, the PAC plans to support a new council slate that would "make decisions for the public good, not rewarding campaign contributions from public employee unions, developers and other special interest groups," make "independent decisions" rather than "rubber stamping staff recommendations," "respect and encourage" the advice of the city treasurer and auditor, and "evaluate development proposals based upon their impact on the entire community." "We are the real Alamedans United," ACT member Paul Foreman, who chaired the meeting, told the attendees, alluding to the union-led PAC that was active in the last election and outspent all other PACs and candidate committees. Foreman selected the initial members of the proposed PAC's governing board, which will then select and vet future board members and eventually candidates for the slate. "This is not going to be a democracy," Foreman said. Janet Gibson, a member of ACT and former trustee of the Alameda Unified School District, said elections have changed in Alameda over the past decade from "small-town politics" to "politicians dominated by outside groups." Alameda has a chance to beat "big bucks" through outreach and voter education, she said. "We have so many new people in Alameda. They don't know the history." Foreman said the PAC wants councilmembers to make "intelligent decisions for citizens of this community," citing decisions made by Alameda Mayor Trish Herrera Spencer as an example. Spencer is viewed as being unfriendly to renters because she voted against just cause eviction protections. This fall, Spencer is expected to face a challenge for reelection from Councilmembers Marilyn Ezzy Ashcraft and Frank Mataresse, who risks vacating his seat. But a public comment made during the question-and-answer session at the meeting has drawn the most criticism. One speaker complained about union influence on Assemblymember (and former Alameda City Councilmember) Rob Bonta and Councilmembers Jim Oddie and Malia Vella. Referring to Vella, he said, "If you hear her supporters, she's a saint. She's a union whore!" The speaker also said he believed his canvassing efforts helped oust former Mayor Marie Gilmore, Alameda's first Black female elected official. Members of ACT, whose motto is "Vigilance, Truth, Civility," did not appear to address the remarks during the meeting. But in an email apologizing to Vella sent the following day, Foreman said he "immediately cut [the man] off." Others also condemned the slur against Vella. Bonta and the Alameda Labor Council issued a joint statement, saying the remark revealed "a disgusting, misogynistic and sexist underbelly in our beloved community." Joe LoParo, a realtor who provided the meeting space at the RE/MAX office for free, also posted a lengthy apology to the Alameda Peeps Facebook group. In his email, Foreman said he did not know the man who made the comment. Vella and Oddie have been the subject of recent attacks after City Manager Jill Keimach accused them of violating a provision in the city charter that forbids elected city officials from interfering with the city manager's duties. Keimach secretly recorded a conversation with Vella and Oddie that she said would be proof of her allegations that they illegally pressured her to hire a union-backed candidate for fire chief. But an independent investigator found no evidence that Vella committed any wrongdoing, although it did conclude that Oddie violated the city charter when he sent a letter of recommendation for the union-backed candidate to Keimach using city letterhead. Keimach then parted ways with the city, which gave her a compensation package worth more than $900,000. Nonetheless, some Alamedans — including members of ACT — have questioned the conclusions of the investigation and demanded that Keimach's recording be released. They also launched efforts to recall Vella and Oddie, although the one against Oddie failed. Some council observers have suggested that the recent city manager fallout and subsequent recall efforts are a proxy battle over housing. Councilmembers Oddie and Vella are viewed as being pro-tenant, and some of the same people who supported Keimach are also opposed to just cause evictions. At the meeting, there also was a notable lack of people of color. All but a few meeting attendees were white. In 2016, ACT supported city council candidate Jennifer Roloff, whose campaign was criticized for an advertisement that featured dozens of her supporters — virtually all of them white. The most recent census figures, from 2010, show Alameda's population is 45 percent white, 30 percent Asian, 11 percent Latinx, and 6 percent African American. The PAC formation follows an April public meeting hosted by ACT expressing displeasure with the recent city manager controversy, as well as multiple ACT op-eds in local newspapers to seek to clarify the group's position on affordable housing and development in Alameda. ACT claims among its past successes opposition to housing developments near Crab Cove and a proposed land swap of the Mif Albright golf course with developer Ron Cowan, and the defeat of the developer SunCal's efforts to build housing at Alameda Point. The proposed PAC's mission reflects a previous slate. In 2006, three no-growth candidates formed "Action Alameda," an unsuccessful slate for a new council majority that included mayoral candidate (and then City Councilmember) Doug DeHaan and council candidates Pat Bail and Eugenie Thomson. The PAC enters an increasingly contentious election. In addition to the recall efforts of Councilmembers Oddie and Vella, last fall, landlords pledged to raise upwards of $2 million to block just cause evictions and defeat the "progressive community."